Thank you for your interest in learning more about the Office of Pipeline Programs, which oversees several distinguished programs focused on serving medical students and high school and college students from the community. The Office of the Pipeline Program provides administrative support to the Dean’s Office across a variety of programs and special events. Our signature program, the Medical Scholars Pipeline Program (MSPP), was designed to increase diversity of the healthcare workforce by exposing under-represented minority students to various healthcare professions. The program’s goal is to turn the students into competitive future applicants to medical schools and other health related fields including nursing, medical scientists and dentistry. The Office of the Pipeline Program also supports the Hofstra 4+4 BS-BA/MD Program and Pre-Med Internship Program at the Zucker School of Medicine by organizing activities and events for those students at the Zucker School of Medicine and in the community. Additional responsibilities include collaborating with various departments within the Northwell Health and Hofstra University to create and implement future learning opportunities for students. I welcome you to browse through this Office of the Pipeline Program's website to learn more about our student accomplishments and program successes. Please feel free to contact me if you have any questions. 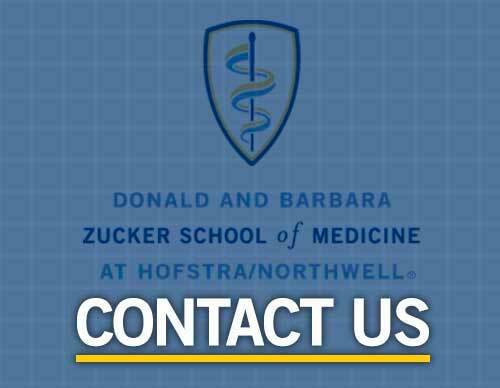 The mission of the Zucker Pipeline Program (ZPP), at the Donald and Barbara Zucker School of Medicine at Hofstra/Northwell (Zucker School of Medicine), is to enhance the matriculation of students underrepresented in medicine and economically disadvantaged students to the Zucker School of Medicine. Read more about this exciting opportunity!